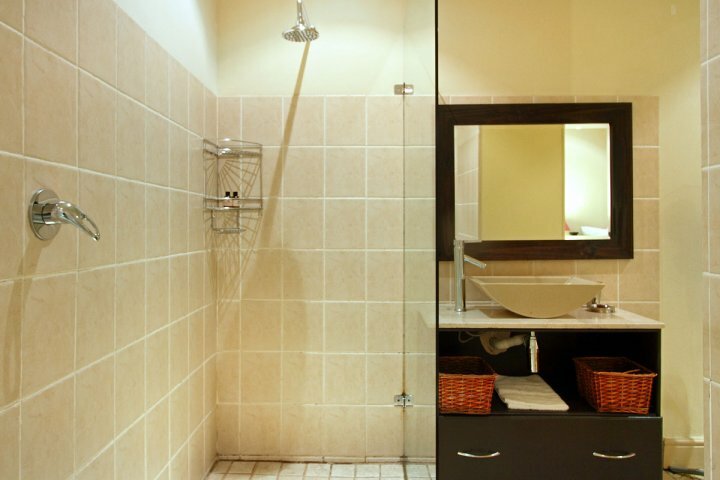 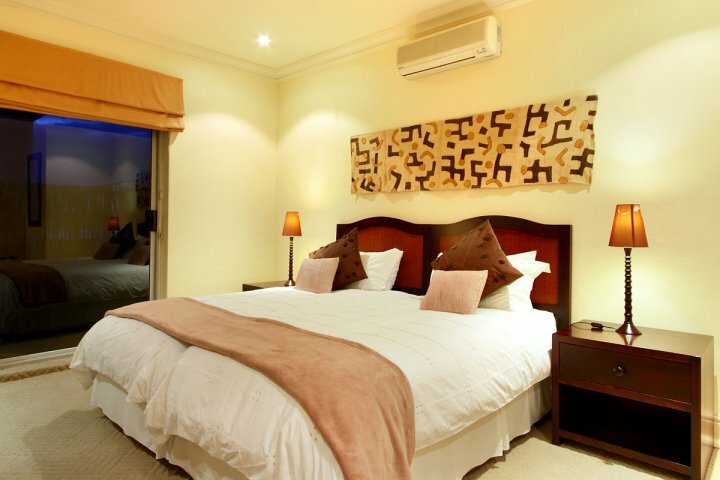 Why stay at BEACHSIDE VILLA? 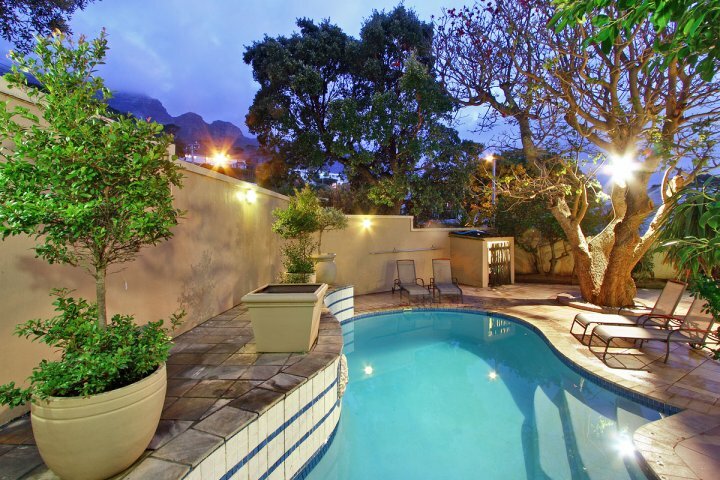 Beach Side Villa has an edge over most villas in Camps Bay. 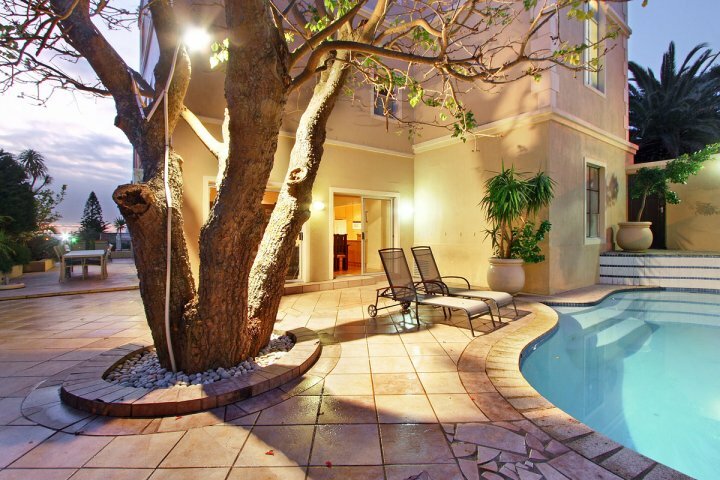 This executive villa offers an incredible location with spectacular views, combined with elegantly designed, spacious living in a true South African style. 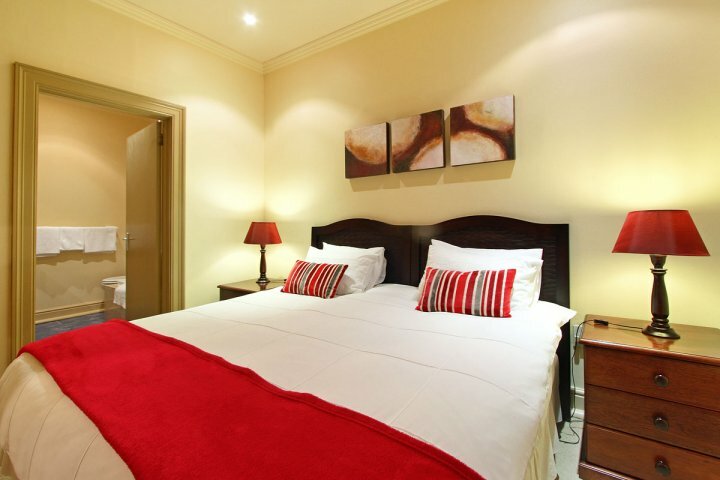 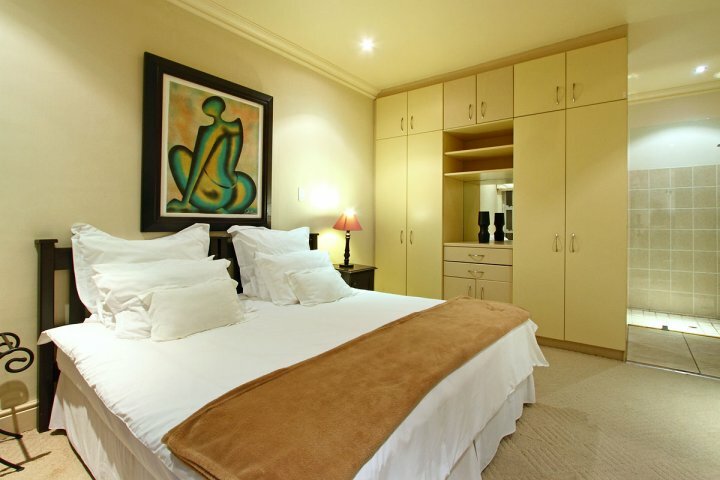 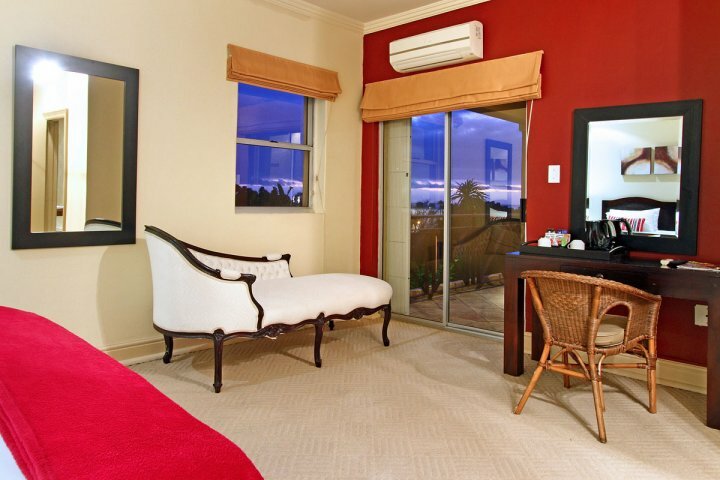 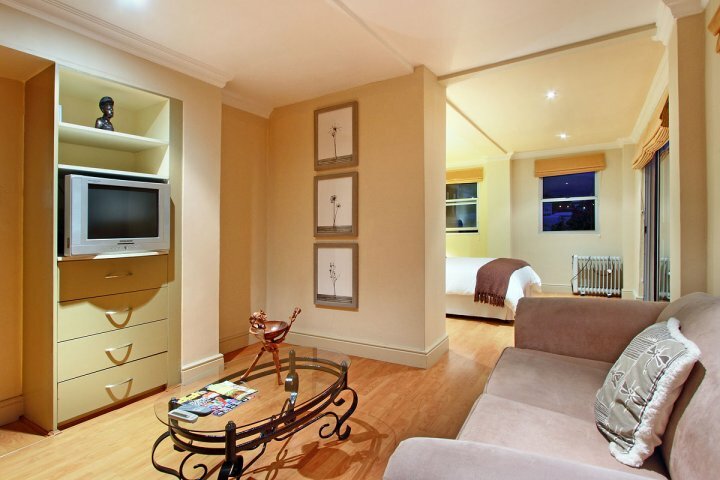 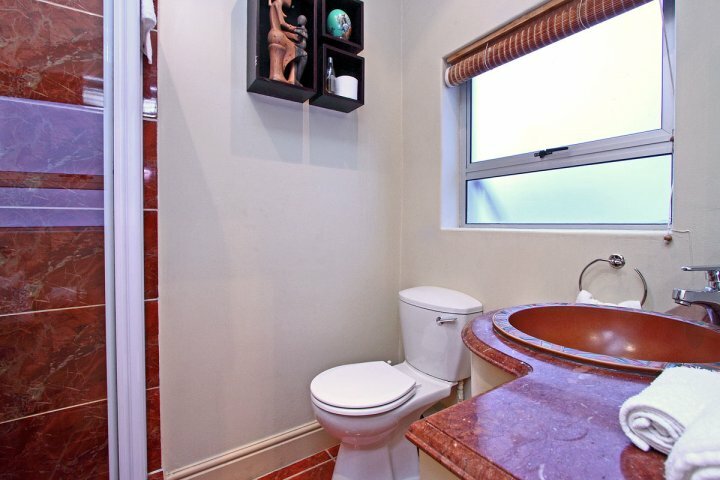 All 5 luxury bedrooms are of boutique hotel standard with en-suite bathrooms and free standing televisions. 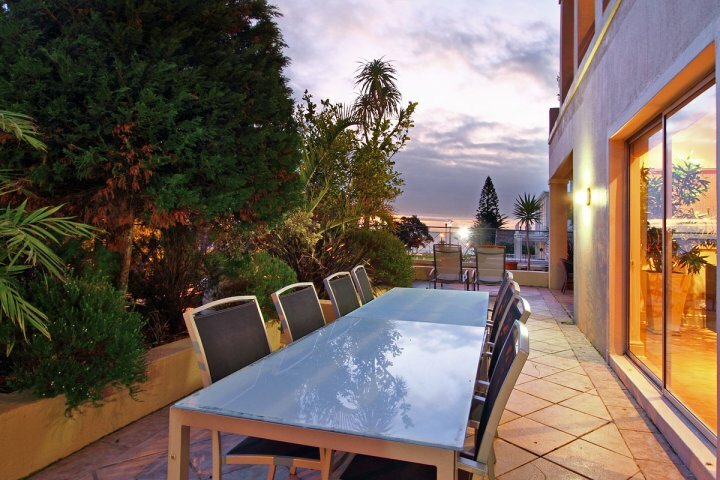 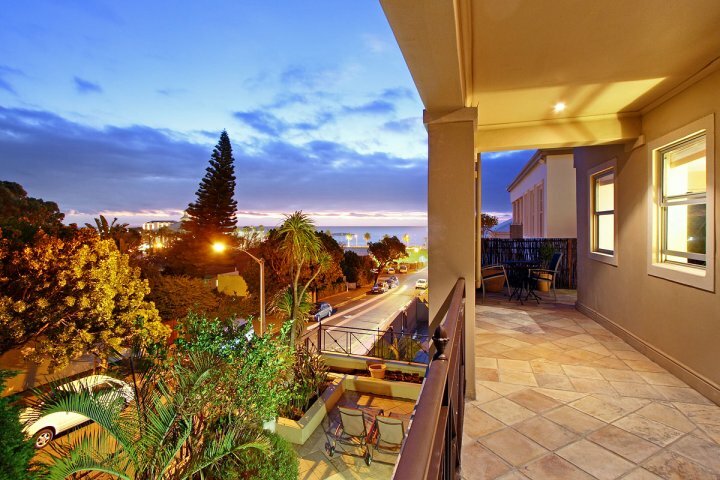 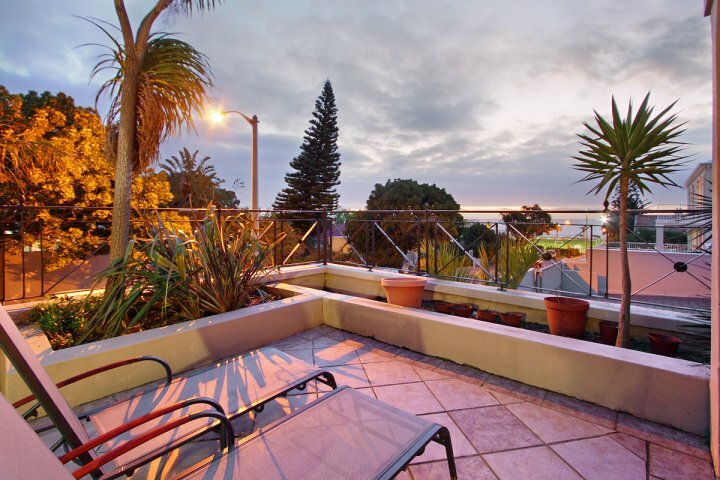 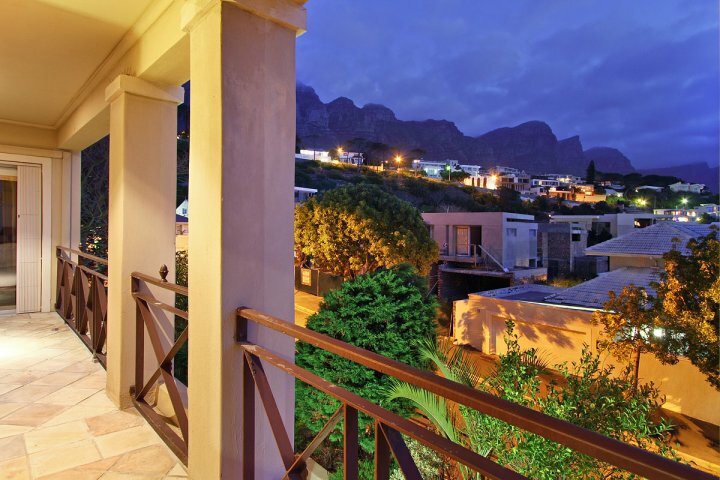 Balconies from the upper level offer wonderful views of Cape Town’s Twelve Apostles, Camps Bay beach and the Atlantic Ocean. 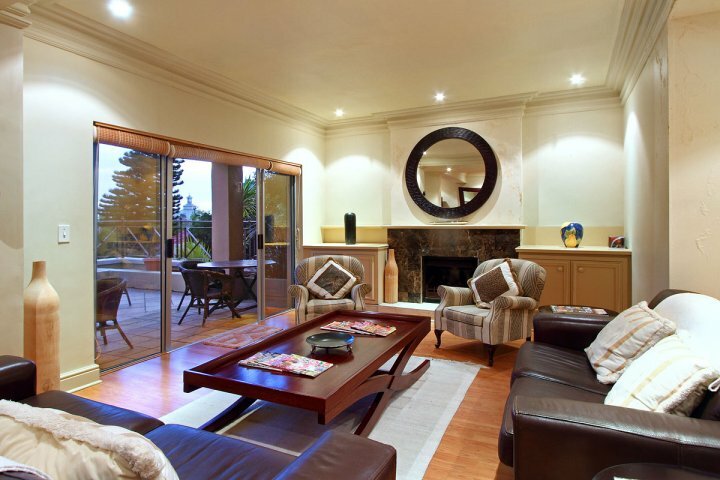 The lower level features stylish open plan lounge and dining areas that connects to the surrounding patio through glass sliding doors. 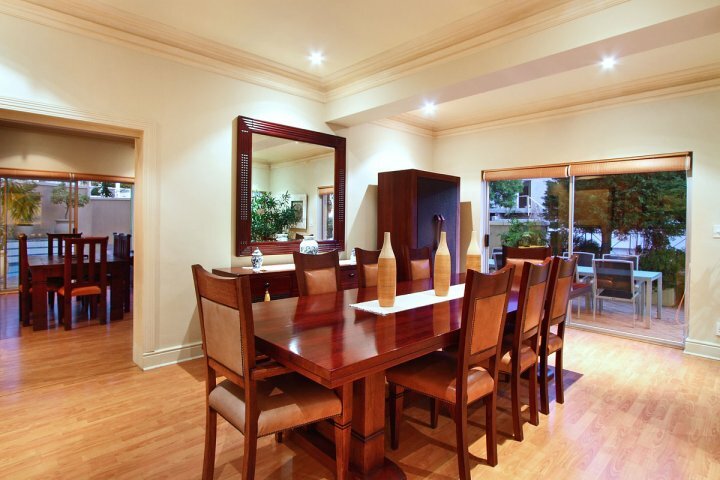 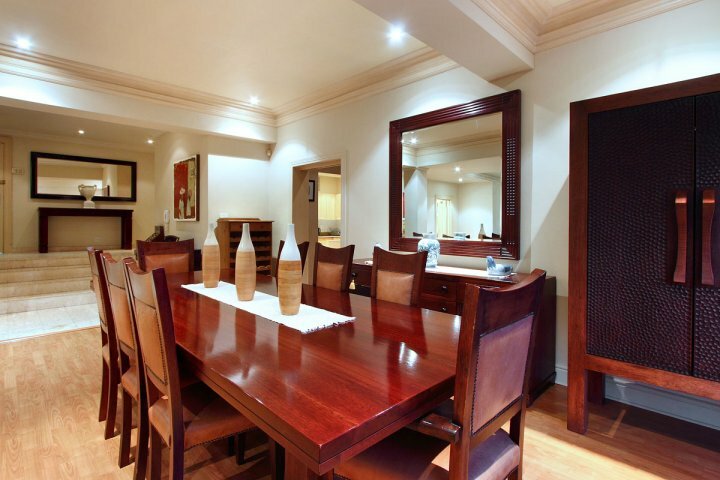 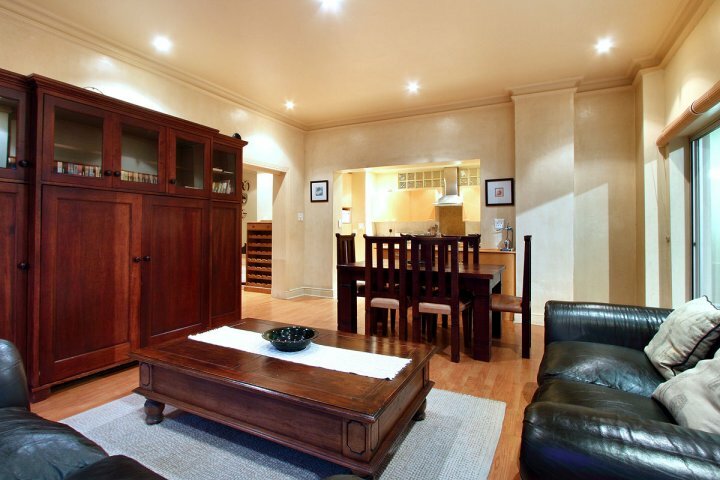 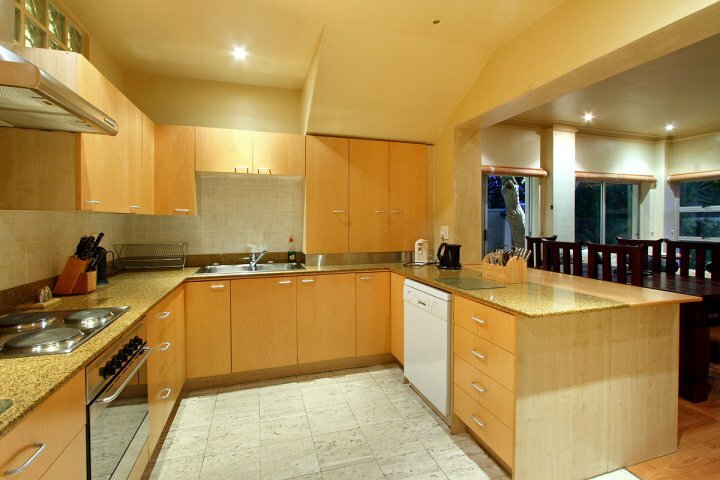 Adjacent to the formal dining area is a separate, modern and fully equipped kitchen that features an open plan, informal dining and lounge area with full entertainment systems. 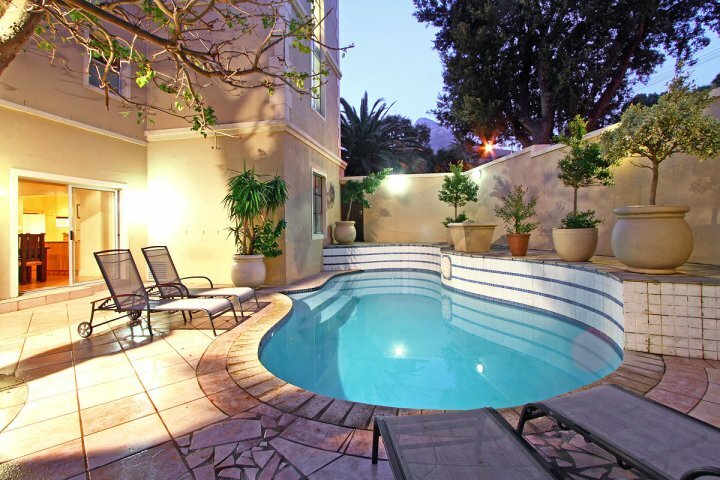 The outside area of the Villa offers a large salt pool, a barbecue area, generous outdoor dining furniture and plenty of sun loungers. 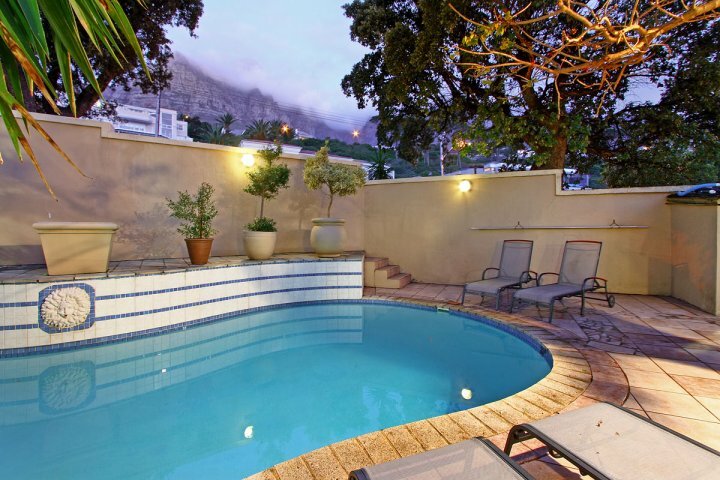 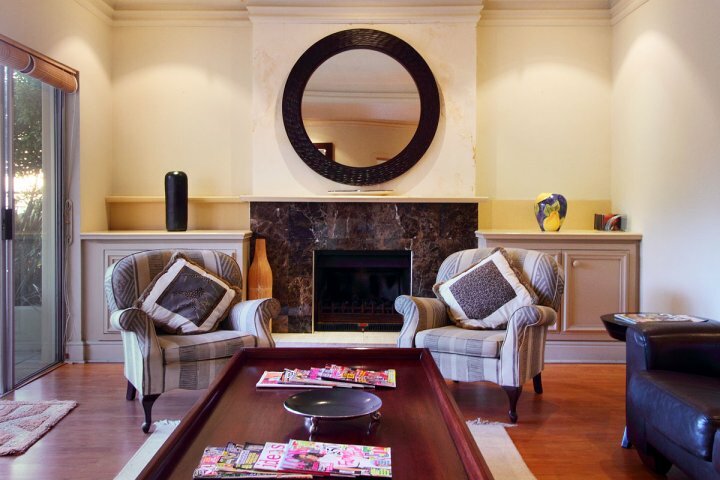 Beachside Villa’s magnificent setting, tranquil ambiance and close proximity to Cape Town’s tourist hot spots offers you the perfect place to unwind and relax. 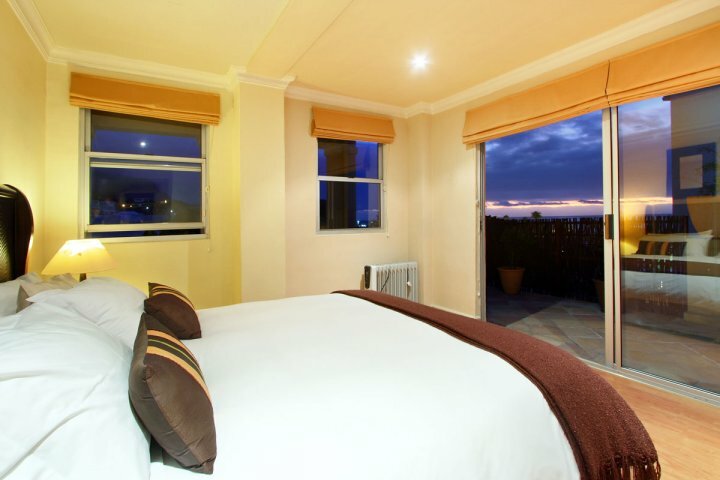 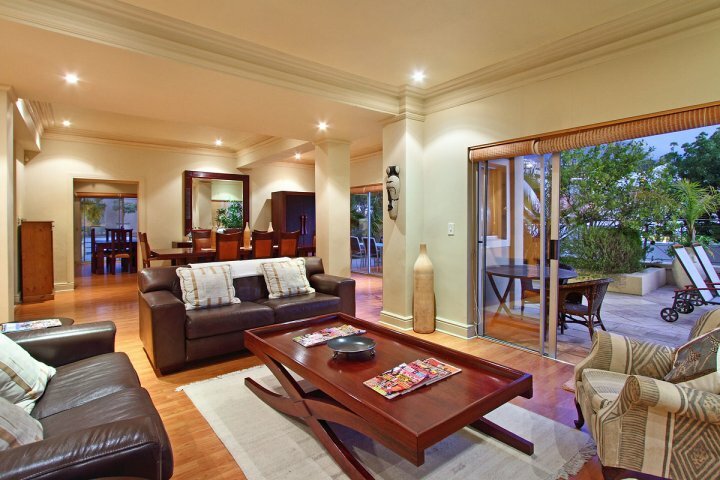 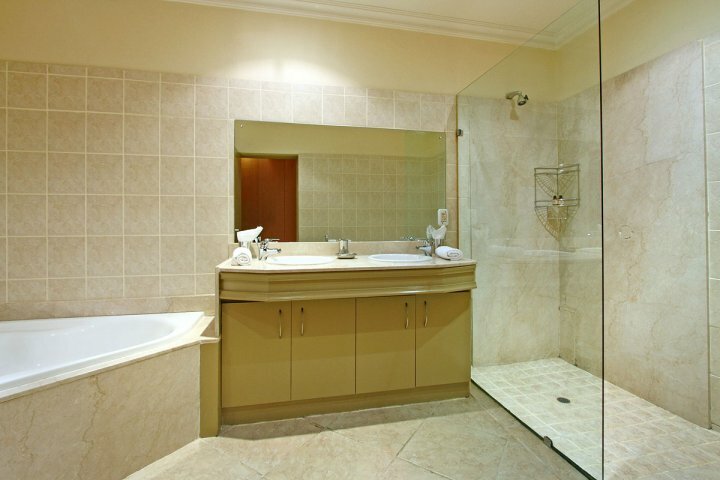 Ready to stay at BEACHSIDE VILLA?